In the business world, profit and income are important factors that fuel a company’s progress. 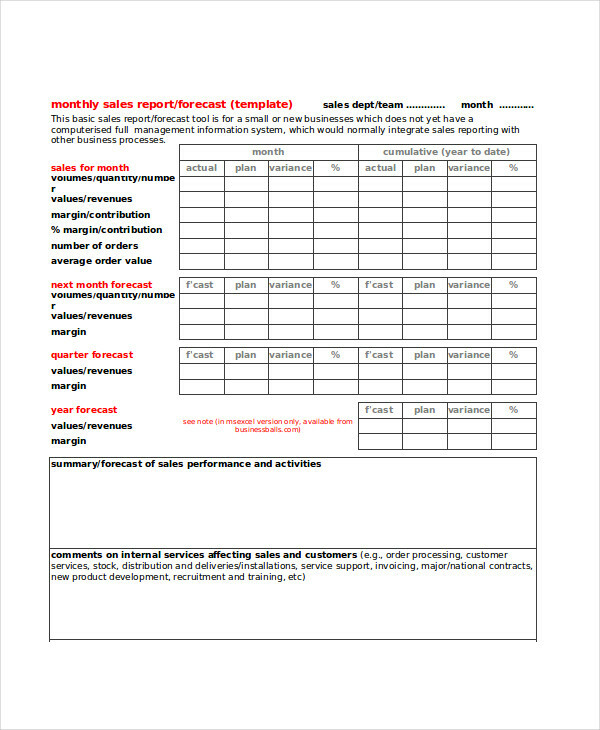 It is a determining element to tell if a business report could flourish or fall into ruins. In order to properly facilitate every essential factor, a detailed report needs to be written. 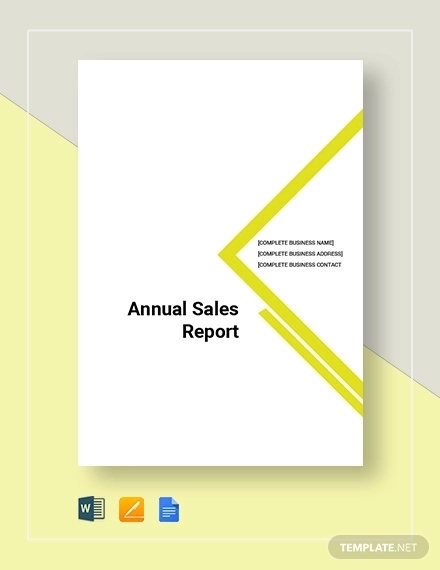 One of the reports that needs to be drafted is the sales report. 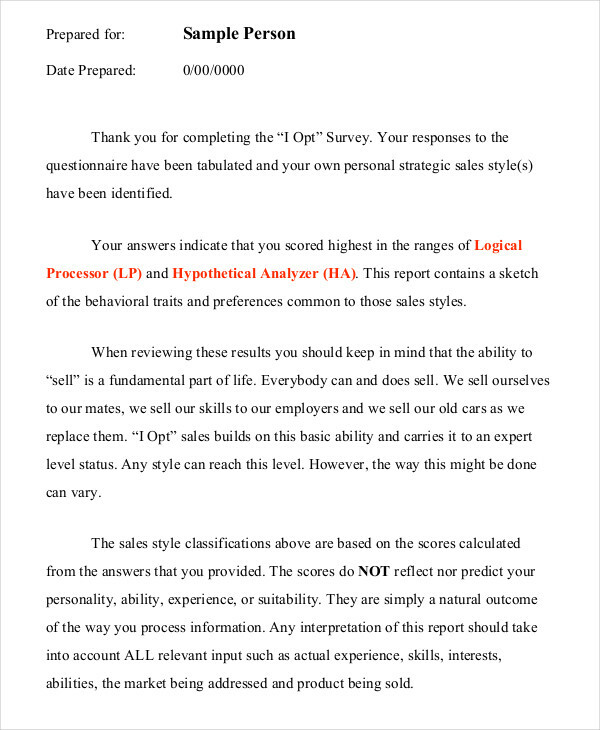 You need to structure a report for the sales that can be easily understood. This is necessary for monitoring and evaluation of the goods that have been sold. 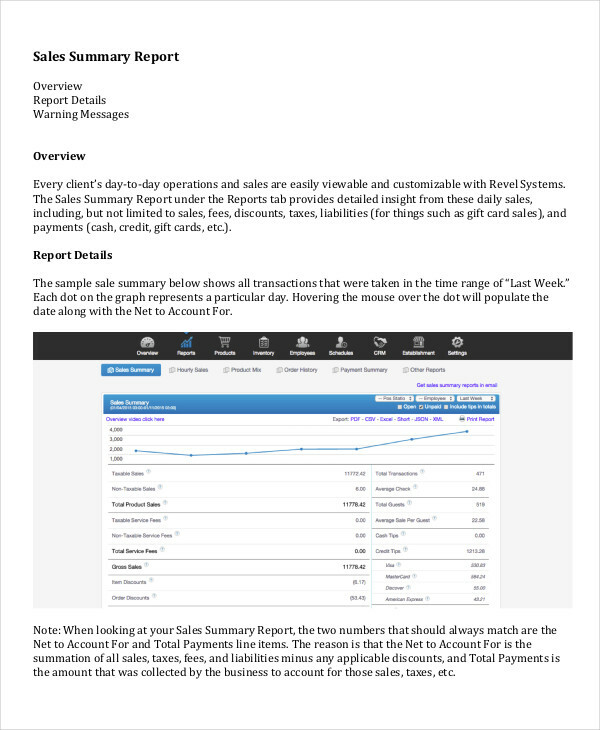 Let us discuss more about what a sales report is and how to write one. 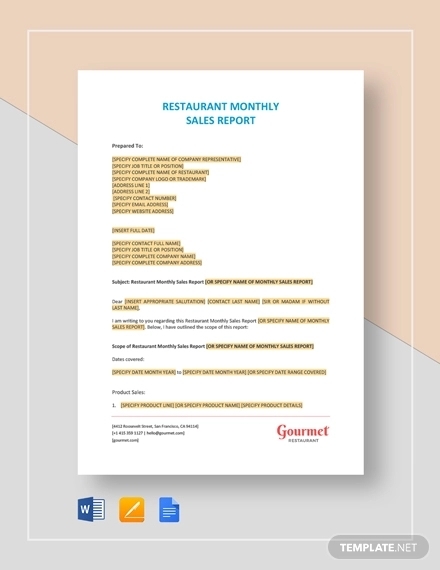 What Is a Good Sales Report Format? 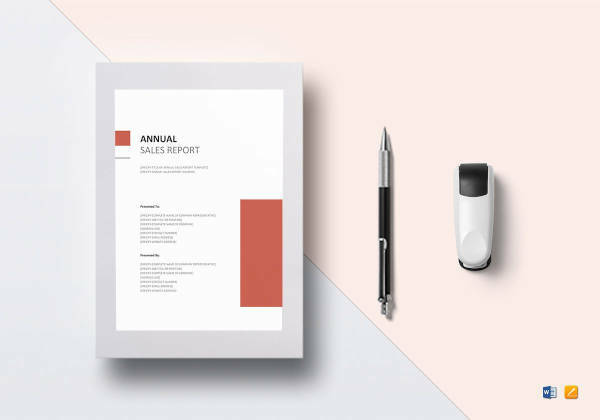 Writing a report could be easy if you have a layout. However, it requires skills and practice to create a good sales report. Creating a format could be an advantage for you and will definitely help you finish the job on time. 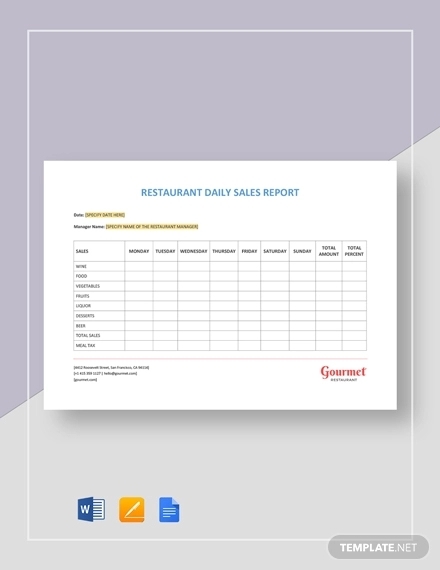 A good sales report format is composed of graphs, descriptions, and itemizations. 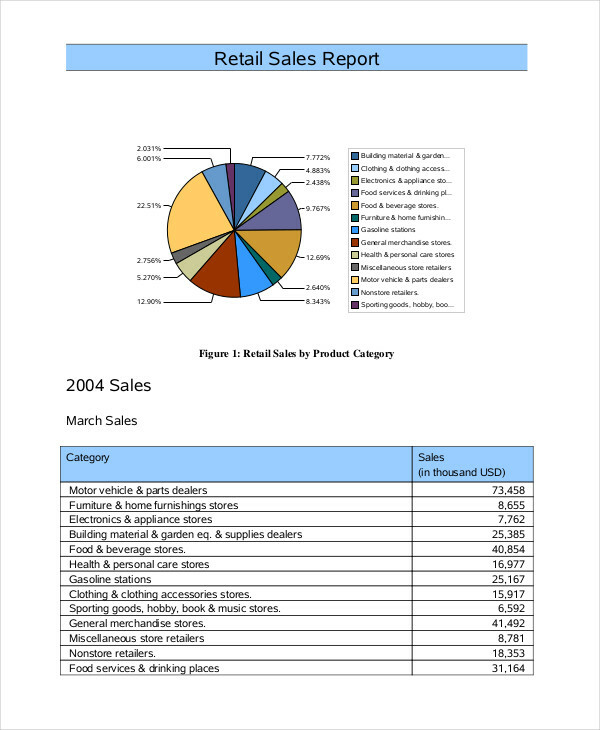 A sales report has to include the products sold, their prices, and the quantity. These are just a few of the items that needs to be in a sales report. 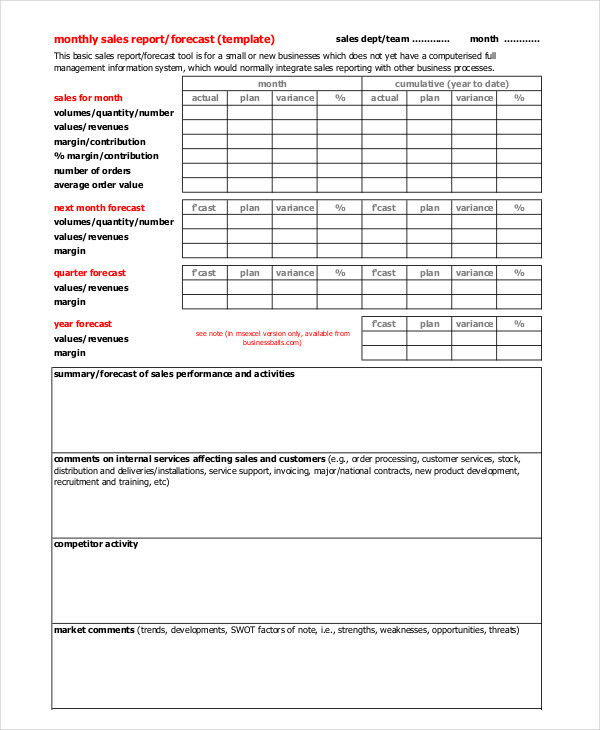 Presenting it in a way that is comprehensible lies on its report form example. There are standard structures when writing a report. 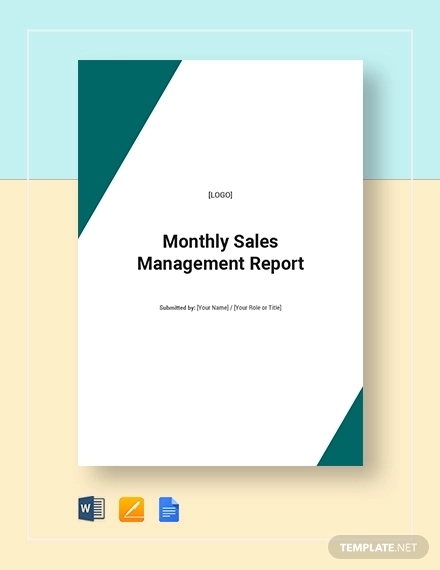 But to write a monthly report for sales, you need to be careful what you need to include in it. Here are the steps to write one. Create a format. 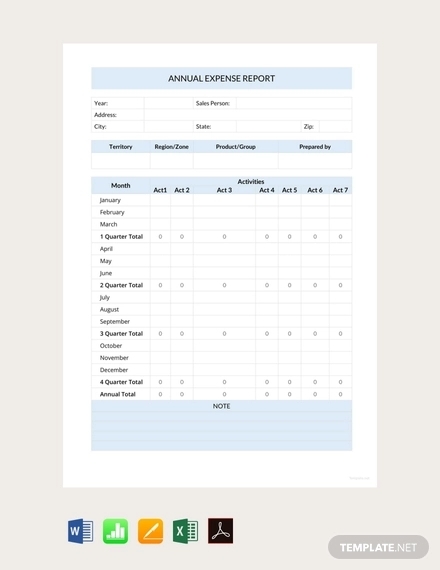 Design a layout for your report. An advise would be to create graphs to separate each item. Write the date. Do not forget the period covered for the report. This is to ensure that no period is missed and for proper monitoring. 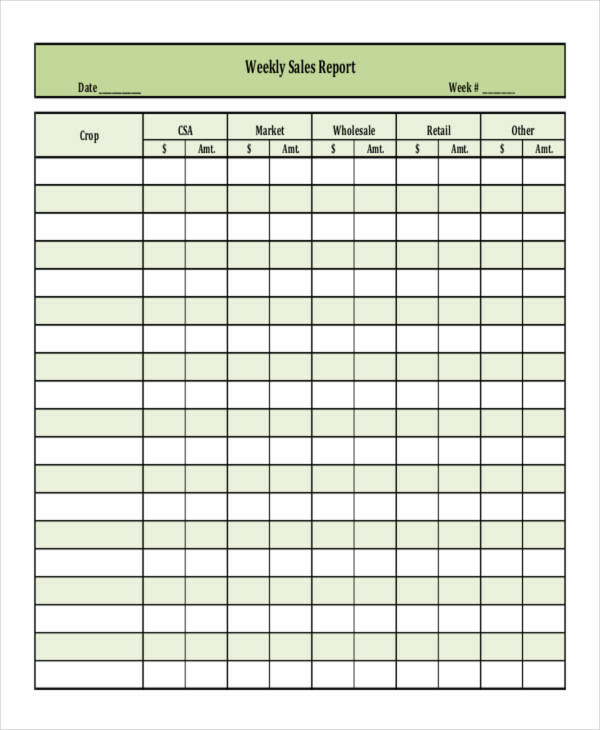 Separate the subtotal for each week. This is a good strategy to properly lay out the weekly outcomes so you can easily identify which ones to work out. 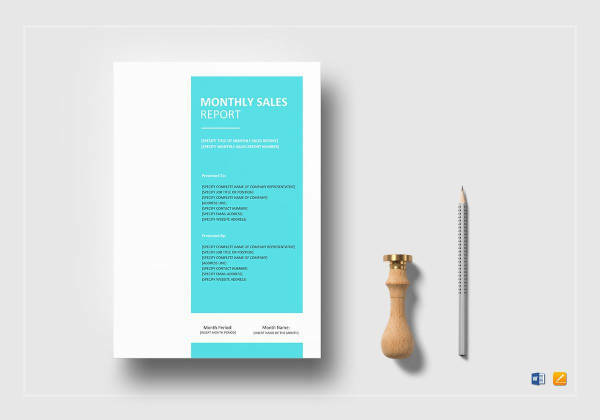 What Are Some Tips on Making a Sales Report? 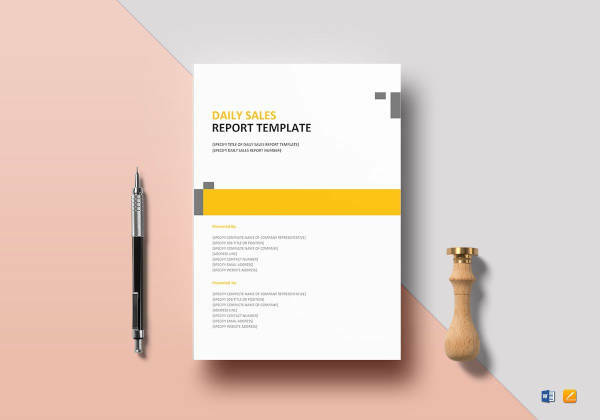 Writing a free report examples could be a painful task and could drain you out. Here are some tips you might find helpful. Know your objective. 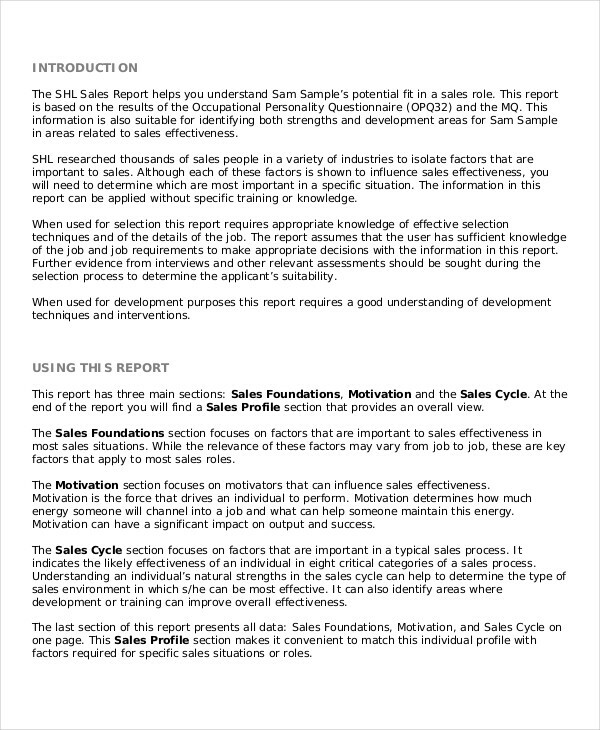 You need to know the reason why you are writing a sales report. Your objective will guide you as you write and eventually finish the job. Understand the marketing flow. You are not just writing an essay. So make sure to study the marketing flow of that period so you can create a good output and make some recommendations. Invest on visual design. 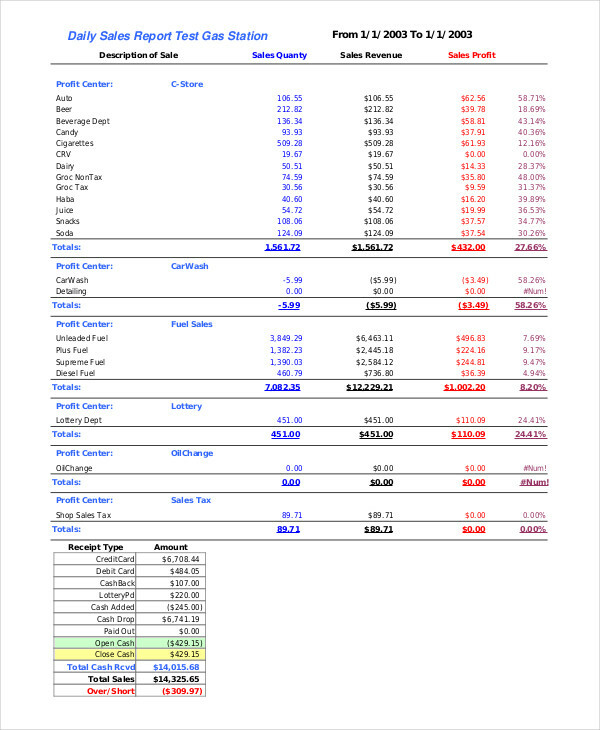 A sales report could be a little monotonous because of numerical data. 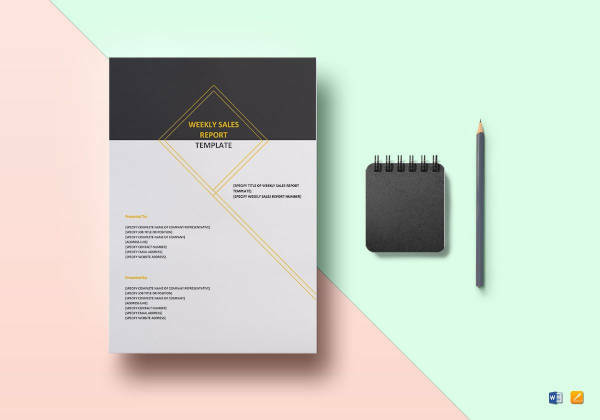 Instead, design a format for a good presentation. 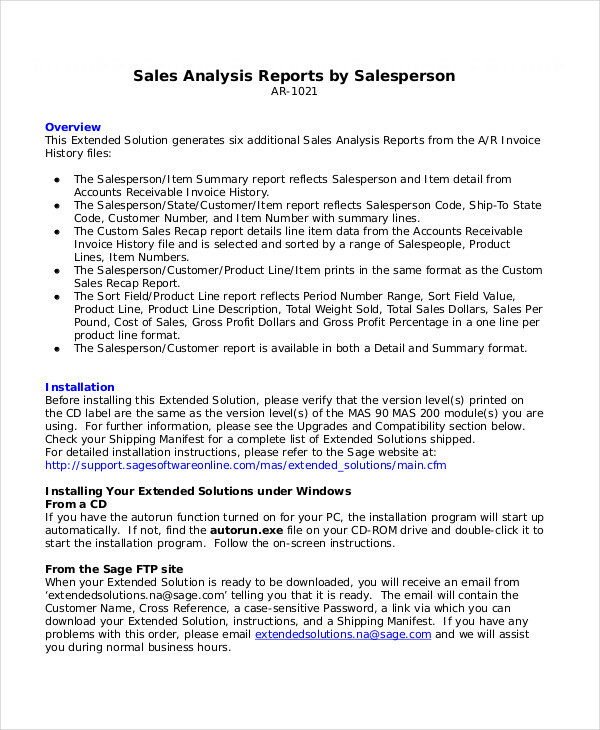 What Information Do You Include on a Sales Call Report? 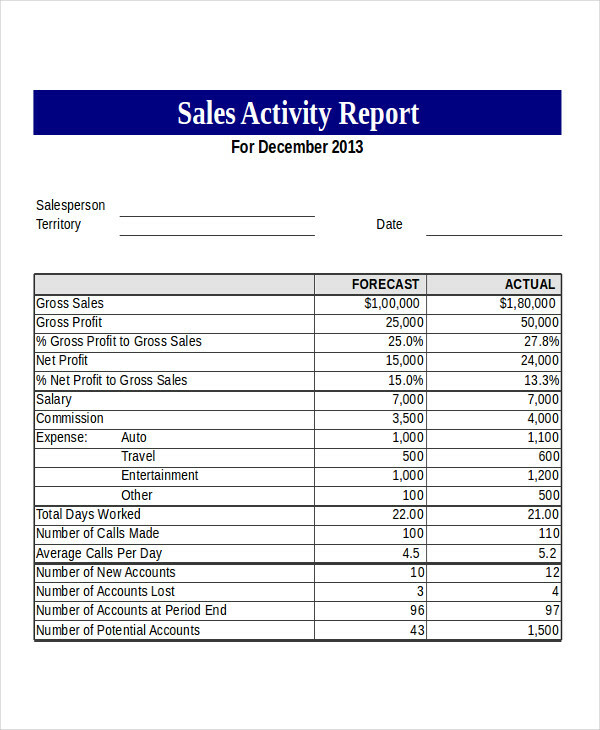 A sales call report is a record that details the calls made in an attempt to make a sale. It could be a monthly, daily report, or weekly formal report. Here are the information you need to include. Number of Calls Made. Write down the total number of calls made in that period. Successful Sales Calls. Indicate the number of successful sales calls made or returns. Failed Attempts. Include the unsuccessful calls made. They might be your next target for another attempt. Products Sold and Prices. Enumerate the products you have successfully sold.